It's hard to believe this year is nearly gone, but at least it ends with this most wonderful of all seasons. And, starting Wednesday, the days will begin to get longer - Hurrah! 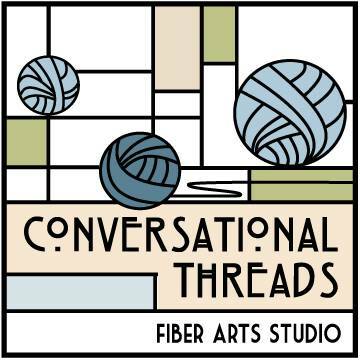 If you are still in need of a last minute gift suggestion for your favorite knitting friend, or better yet, a suggestion to give to others for yourself - the Perfect Solution - A Conversational Threads Gift Certificate! Available in absolutely any amount, they never expire and, best of all, they are never the wrong color or size! 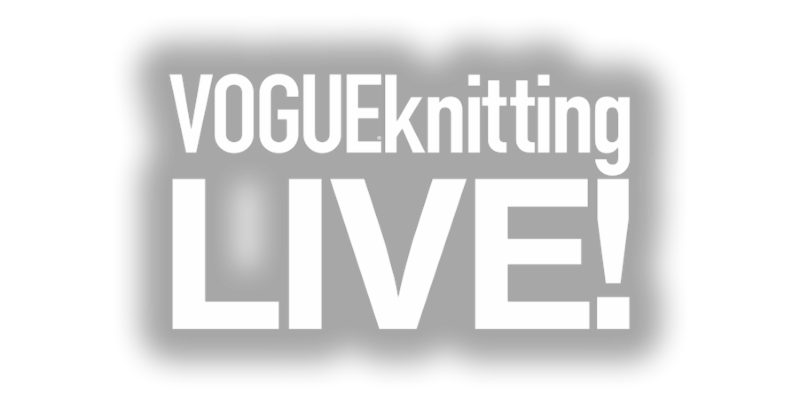 The Bus to Vogue Knitting Live! in New York City Still Has a Few Spaces - Call the Shop to Sign Up! 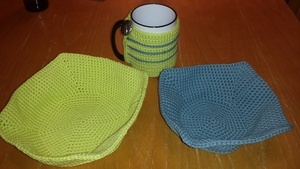 This single crochet pattern is made to hold your hot bowl of soup or cold bowl of ice cream. It is microwaveable safe and you can grab it at the corners so you don't burn your fingers when lifting it out of the microwave. Materials: Size 5 (3.75 mm) crochet hook, worsted weight (medium 4) Cotton Yarn , approximately 120 yards and yarn needle. Prerequisites: Must know how to make a chain stitch, slip stitch, work in the round and single crochet! 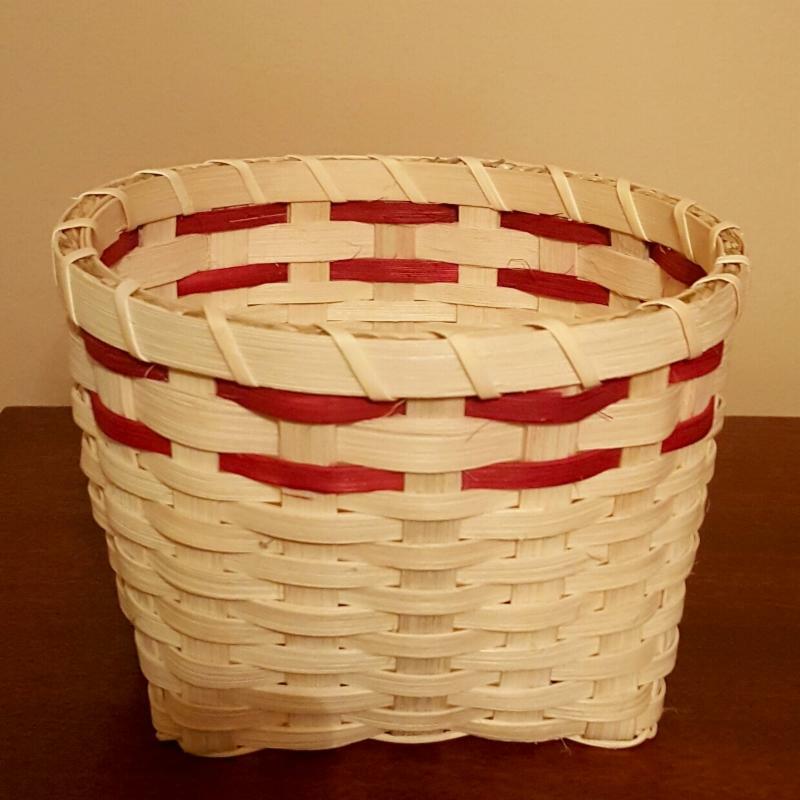 If you have ever found yourself interested in weaving baskets, join us for an afternoon on January 21st as we create this Square to Round storage basket. This sweet basket is 4 1/2inches by 4 1/2 inches by 5 inches. 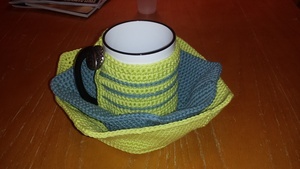 Class participants will learn basic weaving skills as we make this useful basket suitable for filling with a mug and tea bags or soaps for Valentine gift giving; or for displaying a plant on a windowsill. The class is limited to six participants. Please bring a scissors, tape measure, and a pencil. Other supplies will be provided. Vicki is back with another session of her very popular class! Learn to create a unique fabric with a different color each side! 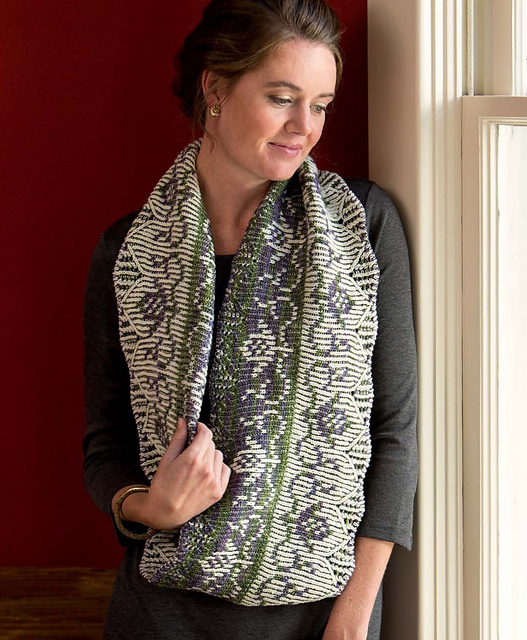 Next, when you are ready, try out any of a wide range of patterns and stitches from the stitch dictionary in the Twigg stitch book (bring your own, purchase one via download, or buy one at the workshop from Vicki for $25) to make a scarf or shawl. There is plenty of room to customize your own unique piece. First, you will be learning the basic technique. For this you will need 2 colors of the same type of yarn with enough contrast to tell them apart. Sport or medium weight that is fairly smooth is the best yarn to use for learning and for experimentation. You also will need the recommended size needles for the yarn. Second, for the project, Vicki would suggest using 2 colors of your favorite thickness of yarn. Bear in mind that Twigg stitch knits up a little thicker than single yarn rib and it takes up to 1.5 times as much yarn as you would use for regular knitting (half each of 2 yarns). You also again will need the recommended size needles for the yarn (and a size larger and smaller if you want to experiment with the texture). You need a good knowledge of basic knitting skills, however the key to doing Twigg stitch is in how you hold and use the yarns. You will begin with holding one yarn in each hand so learning to knit with your 'other' hand is useful (only knit is needed for the left hand) and you can move on to holding both yarns in the same hand for those who prefer. 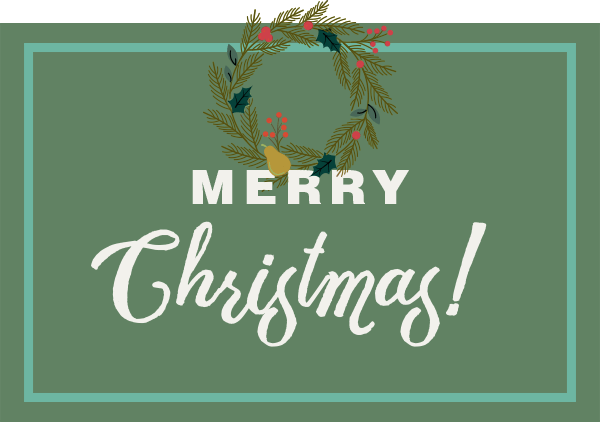 Conversational Threads will be closed Saturday, December 24th, Sunday, December 25th, and Sunday, January 1st. We will be closing early on Saturday, December 31st, at 4PM. and joy this holiday season.